Mrs. Adepeju Rashidat Kassim was born on the 8th of April, 1968 in Lagos Island into the family of Mr. and Mrs. S.A Adewusi, from Egbeda in Alimosho Local Government in Lagos State, both parents are of blessed memory. She attended Ideal Girls Nursery and Primary school, Falolu Road Surulere, Lagos for her primary education (1973-1978). Her Secondary School education was at Government college, Agege, Lagos State in 1978-1983, She also attended Ansar-Ud-Deen High School, Falolu Road between 1983 and 1986 where she completed her West African school Certificate. Her tertiary education was at Ogun State Polytechnic,Abeokuta, (now Moshood Abiola Polytechnic), Ogun State where she studied Mass Communications and graduated in 1992 with a Higher National Diploma (Lower Credit). She served the Nation at Nigerian Industrial Development Bank, (now Bank of Industry, Broad Street, Lagos (1992-1993). She joined the Lagos State Civil Service in 2000 and has served in various Ministries and Departments as a Public Affairs Officer. 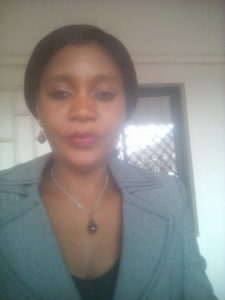 Mrs. Adepeju Rashidat Kassim is happily married with children.